Chicago might have one of the best skylines in the entire world, if not the best! I love snapping photos of the skyline but also the amazing views of the city up close. It's a city filled with skyscrapers, 19th century mansions, iconic homes and so many other architectural gems. These are my top must see views of Chicago. There might be a few in here you've never thought of! Most people go strait to the air when thinking about amazing views of Chicago. When I'm asking about where to see my favorite views I tell people they need to get down to river level. 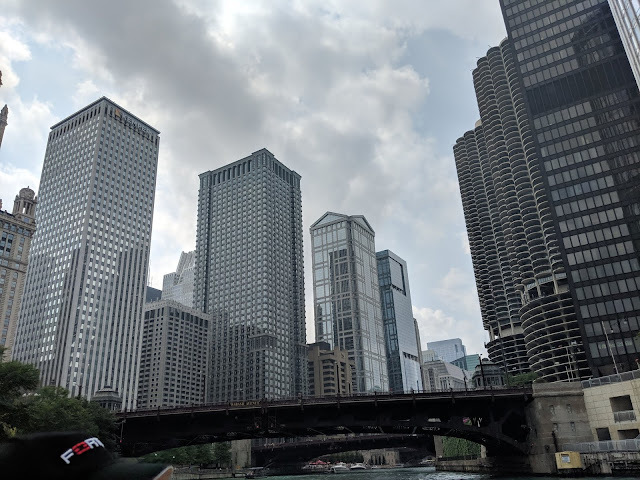 Whether it's taking one of the iconic architectural river tours or just enjoying the Riverwalk getting down low provides some spectacular views. Recently I discovered on my first water taxi ride that taking it down to Chinatown you get some wonderful views from south of the Loop. Everyone always heads to the Bean to take photos but I've noticed that a lot of people only want to get themselves in the Bean. To really grab a great Bean shot pull back a little bit and get the skyline. You won't be disappointed at the view. 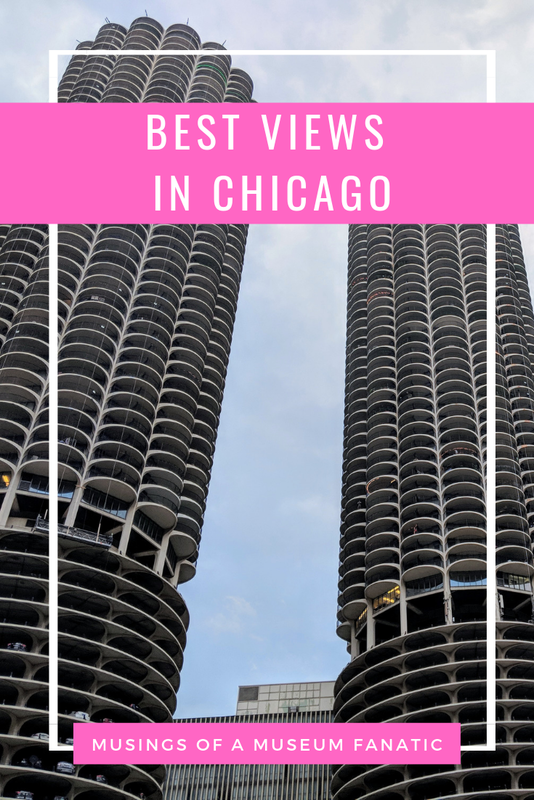 You don't have to travel too far to get an amazing view of both the city and the lake. 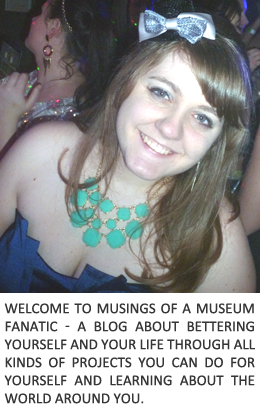 Head straight to Museum Campus for both! Some people thing that the only great skyline photos can be had out by the Adler but I actually think that there are plenty of spots all around Museum Campus for great shots. One of my favorites is just outside the north doors of the Field Museum. A lot of people go straight to the Sears Tower (Willis Tower) for the view. Which don't get me wrong it's an amazing view but if you're up in the Sears Tower you can't see it as part of the view! That's why I always recommend heading over to the Hancock. Plus you have the option of only needing to pay for a drink if you head to the Signature Lounge instead of paying for a ticket to go to the observatory floor. The view from the bathroom is pretty fantastic as well. I've shared my favorite view from the south well the view from Lincoln Park Zoo is my favorite view from the north. Most people head straight for Studio Gang’s Curvaceous Wood Pavilion. I recommend walking around the entire nature boardwalk. 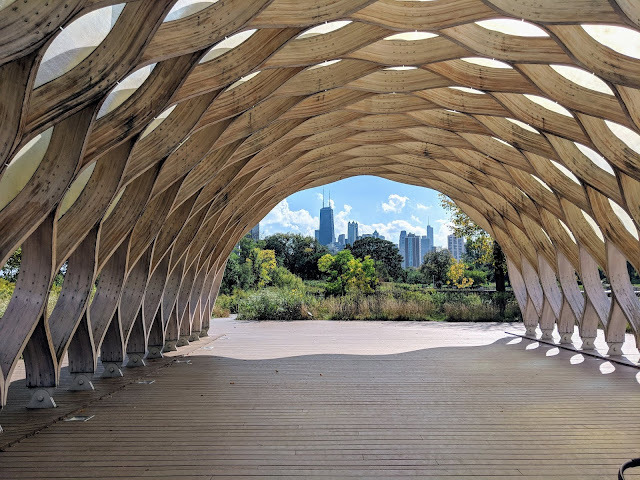 You get some great shots with the beautiful foliage and the city, then end with the iconic view of the city through the Curvaceous Wood Pavilion. 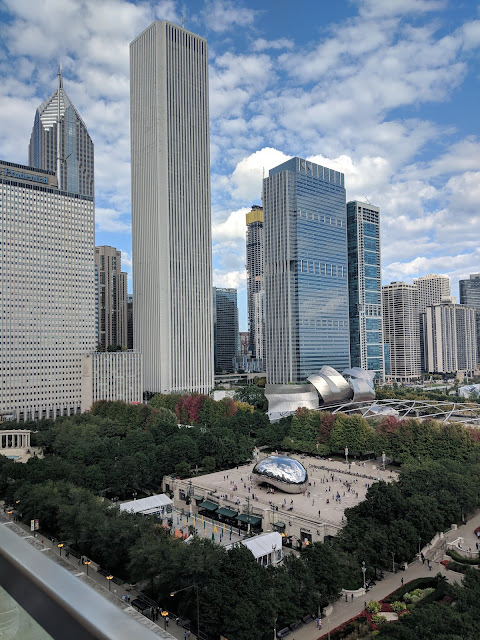 There are so many rooftop bars in Chicago and most if not all of them have fantastic views of the city. Cindy's always ranks tops of the list. I had always thought it was probably overrated until I got the chance to enjoy a drink and the view with Jackie in October. As you can see with the above photo it definitely lives up to the hype! The extra perk of enjoying the views from a rooftop bar is the fact you can enjoy a delicious beverage while you view. This might be my all time favorite way to view the beauty of the city. There is just something different and so unique about viewing the city from the L platform or as you rumble through to the next stop. While you're not a the high up bird's view level you're at this sweet in-between spot. 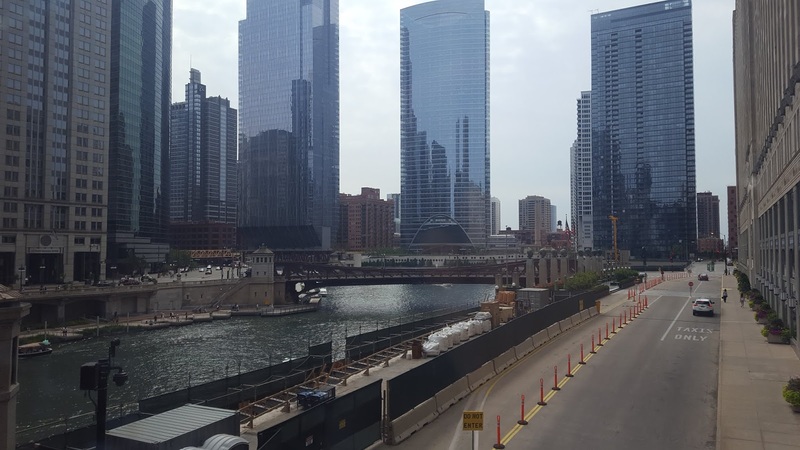 Plus when you go from the Loop northbound on certain lines you get great views of the river!